Indirasite: What happened to the " President Day" of United State? What happened to the " President Day" of United State? holiday.Originally it had been established in 1885 by the federal government. This is a day to honor all the president of the United State who served in their lives in past and present. Many states name this day with the different day. Some state also celebrates this day as an Abraham Lincoln Day. It is a day to honor all the president, but unfortunately, this year president day left some bitter experience due to the several reasons. People are in march due to the newly elected president Trump's executive orders which are against the first amendment of the US constitution. Instead of giving the respect to the president they gave him the earful "Not my president day" rally. These rallies were performed in the major cities of more than two dozen cities of New York, Chicago, Los Angels, Philadelphia and much more. Many of them carried the sign and read as a " No ban, No wall " " Resist and Chanted". 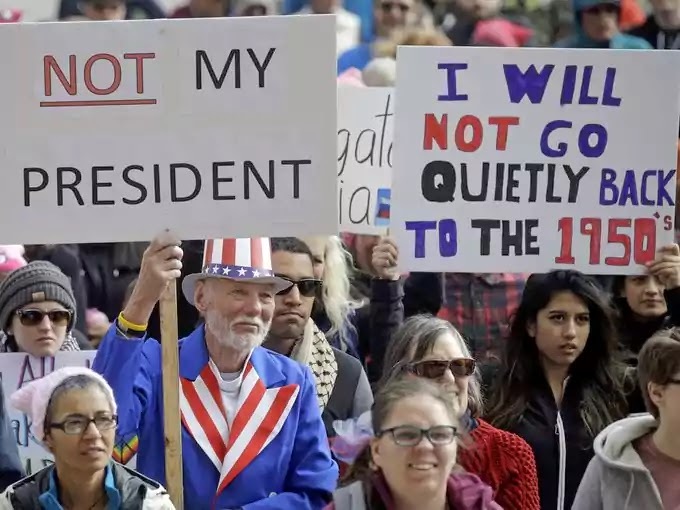 These slogans and the rallies were the reactions of the new executive order of travel ban, deportation of the illegal immigrants with misdemeanor records. Mr. president has been largely criticized due to his several false statements and several executive orders against immigrants. Even the march and protests are going on he is still in the process of more deportations and tightening the immigrants and continues travel ban. One of the recent news, which spread around the world is his speech which he said during his speech in Florida; "You look at what's happening last night in Sweden," "Who would believe this? Sweden. They took in large numbers. They're having problems like they never thought possible." He was relating the issues of the terrorist attack but in fact, nothing had happened in Sweden. He also attacks the media accusing they just give the news without pieces of evidence. On the next day, he tweeted that he made that statement relating Sweden and immigrants relating to the Fox 5 news. Sweden foreign minister Margot Wallstro appeared on the Twitter to respond to the Mr. Trump states that democracy and diplomacy "require us to respect science, facts and the media." One of the actors Alec Baldwin has been getting the popularity of the comedian's program 'the president trump'. He has been criticized around the world due to his executive orders. On the other hand, he is also becoming the means of entertainment for the general people and material to the media as the parody broadcast on the television and YouTube.